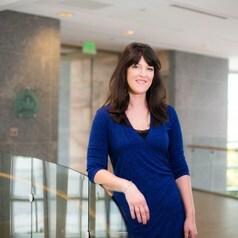 Dabney P. Evans, PhD, MPH is an exceptional public health leader, serving as an Assistant Professor of Global Health at the Hubert Department of Health in the Rollins School of Public Health at Emory University. She is a mixed-methods researcher of issues affecting vulnerable populations at the intersection of public health and human rights. Dr. Evans received her Master of Public Health degree in 1998 from Emory University and her doctoral degree in law from the University of Aberdeen (UK) in 2010. She is Director of the Center for Humanitarian Emergencies in the Rollins School of Public Health and the Emory University Institute of Human Rights. As one of the first faculty to include health and human rights in the public health curriculum Dr. Evans is an established teacher and trainer. She teaches several popular courses including “Health and Human Rights” and “Health in Humanitarian Emergencies.” Serving the global community further, Dr. Evans has provided training to more than 1,000 public health practitioners from over 35 countries and counting. She is currently developing curricula on Health and Human Rights for the US Centers for Disease Control and Prevention, ‘How to Guides” for UNICEF risk informed programs, and a massive open online course on Ebola. Through her scholarly research, Dr. Evans has long served at the forefront of scholars in both global health and human rights. Given her multidisciplinary educational background, her research has charted new interdisciplinary paths at the intersection of public health, human rights and humanitarian response. Dr. Evans’ current projects include a study of stigma and discrimination among Ebola survivors, a rights-based evaluation of the HPV vaccine policy development in Brazil, a longitudinal analysis of asylum data from the Southeastern United States. An editor of the text, Rights-Based Approaches to Health (Springer, 2011), Dr. Evans has advanced human rights discourse across a range of public health issues and has published numerous book chapters, scholarly articles and commissioned works. She is on the editorial boards of the journals MEDICC Review and Healthcare in Low-resource Settings. Dr. Evans is a member of the Delta Omega Public Health Honor Society, Omicron Delta Kappa National Service Honor Society, US Human Rights Network Taskforce on the elimination of racial disparities, past-president of the Georgia Federation of Professional Health Educators, and past-chair of the International Human Rights Committee of the American Public Health Association. In 2007 she was the recipient of the Martin Luther King Jr. Community Service Award. In 2013 she co-chaired the Emory University Academic Learning Community on Brazil and in 2014 was a candidate to the executive board of the American Public Health Association. She is a Board member of Medical Education in Cooperation with Cuba (MEDICC).